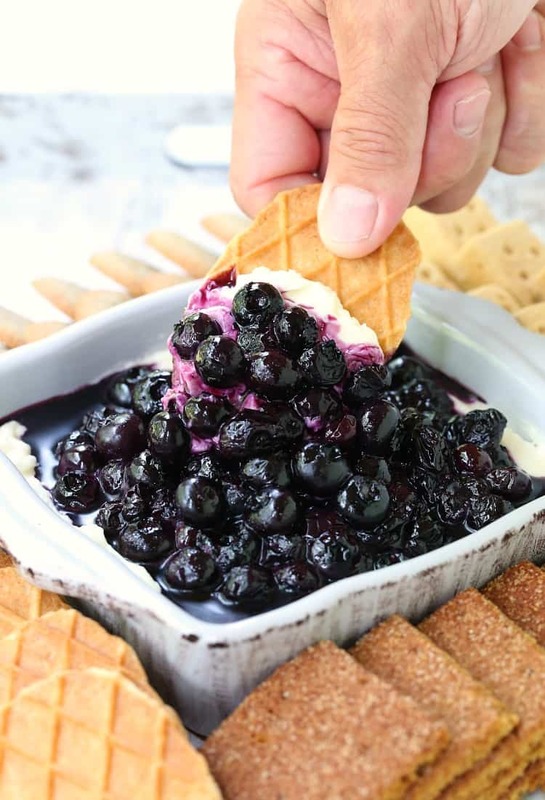 This No Bake Blueberry Cheesecake Dip is going to be a hit at parties! 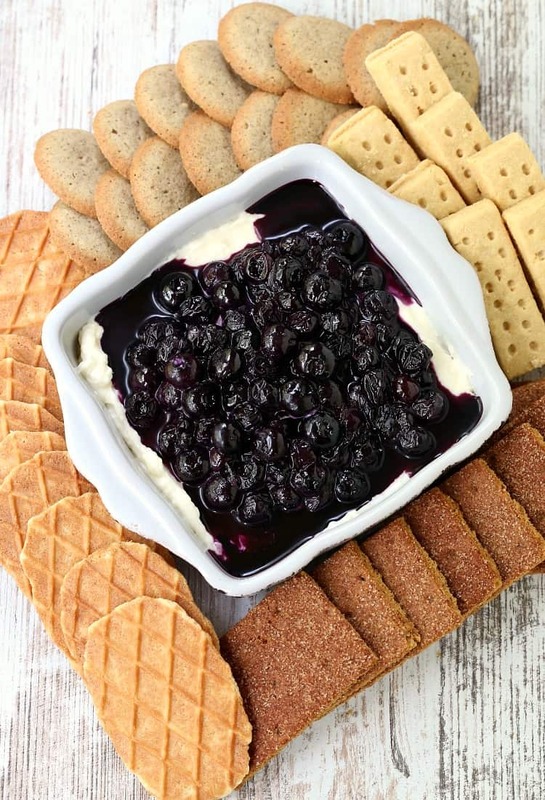 Grab an assortment of your favorite cookies and start dipping! 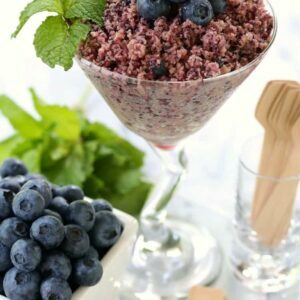 No bake desserts like this are the way to go for us. We’re not big bakers, we like to leave that to the professionals. Not that we haven’t gotten into baking here and there…these Coconut Rum Cookies are definitely a favorite of mine. And this Bourbon Soaked Cherry Pie is going to be a hit any time. Do you see the pattern here though? I guess I do like a boozy dessert. But we’ll have some options here that will be good for everyone, even the kids if they’re hanging around. Although my kids have tasted their share of boozy desserts. The booze cooks off, that’s what they say right? 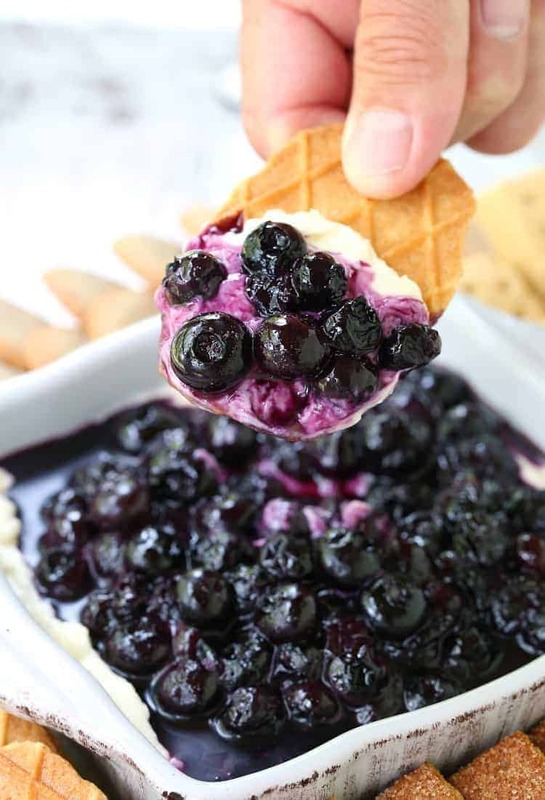 This No Bake Blueberry Cheesecake Dip is sans booze – but hey, if you wanted to add some in there be my guest. But I have to tell you, it’s pretty good all on it’s own. 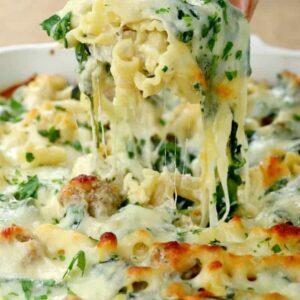 The best part is that it can be ready in just a few minutes, waiting in the fridge so you can pull it out and serve without a hassle. 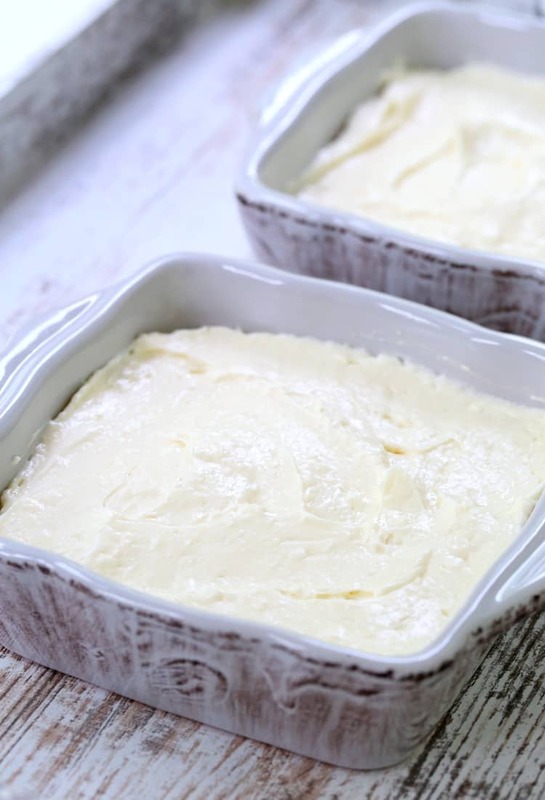 All you need to do is mix together the cream cheese filling and spoon it into a dish. I used two smaller dishes here but a larger dish will work too. 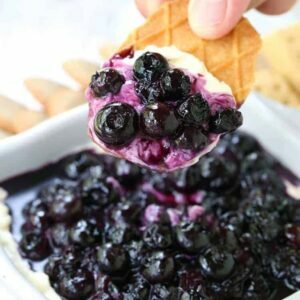 You can grab cookies, graham crackers, regular crackers or anything you might want to dip into this No Bake Blueberry Cheesecake Dip…I like a big mixture of it all! 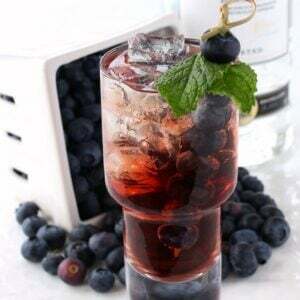 Add the blueberries, 2 tablespoons of water and the 1/4 cup of regular sugar to a pot. Bring to a simmer, stir and then turn the heat down to low and simmer for 15 minutes. Take the pot of the heat and let cool. In a small bowl, beat the cream until stiff peaks form and set aside. Add the cream cheese, confectioners sugar and vanilla to a larger bowl and beat together well with a mixer to combine. Fold the whipped cream into the cream cheese mixture then spoon into a serving dish. 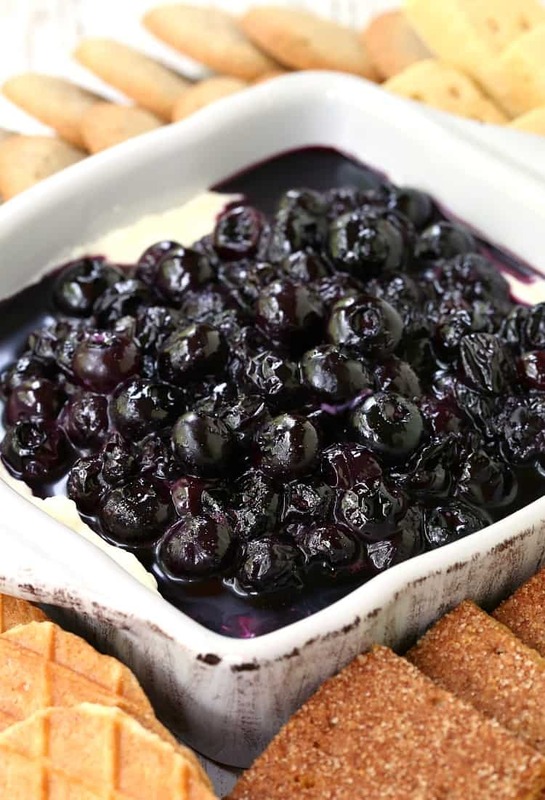 Pour the cooled blueberry mixture on top of the cream cheese, cover and refrigerate for at least an hour. 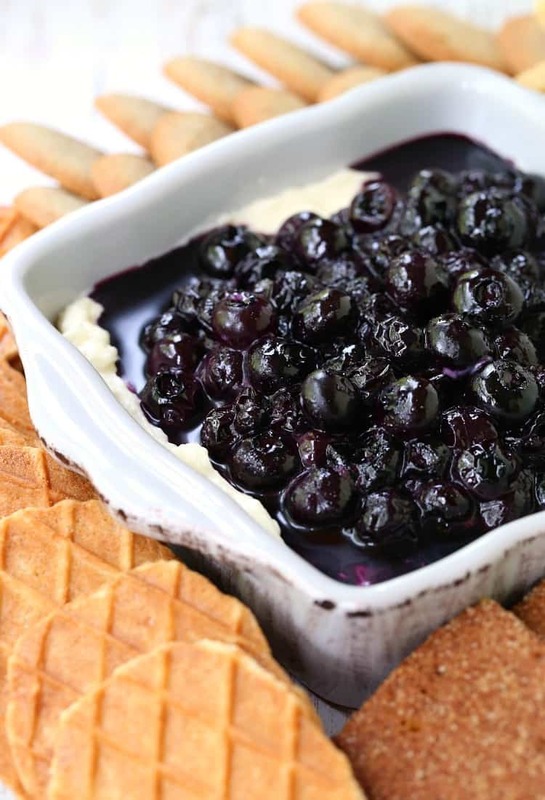 Serve with cookies and graham crackers for dipping.